Surrounded by the Great Lakes, Michigan is an ideal place for boating, whether it’s recreational or commercial boating activities. Unfortunately, however, boating can be dangerous and accidents can — and do — happen. 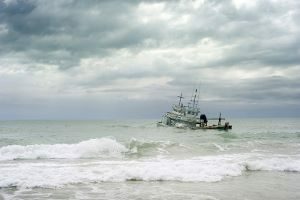 Persons who are injured in Michigan boating accidents, either on a merchant vessel or a pleasure boat, may be able to get financial compensation. Boating accidents that occur on the water are governed by a specific set of rules and regulations known as Admiralty or Maritime Law. The owners and operators of commercial vessels have the responsibility to ensure that the ship or boat is in good operating condition and that it is piloted safely. When these responsibilities are not complied with and an accident resulting in injury or death occurs, those responsible may have legal liability. whether the boat was properly manned. whether the seamen on board were properly trained. whether the boat was properly maintained. whether the boat operator followed standard protocol in the operation of the vessel. Where injury occurs as a result of a private (recreational) boating accident, the owner or operator of the private boat may have legal liability. whether the operator was under the influence of alcohol or drugs. whether the boat had the proper safety equipment, including life jackets. Anyone who is injured as a result of the use of a private boat or a commercial vessel should protect their legal rights by seeking advice from an experienced boating accident attorney. Understanding Michigan boating laws is the first step in protecting your rights. If you or a loved one has been injured in a Michigan boating accident, our Grand Rapids personal injury attorneys and Lansing personal injury lawyers are available to answer your questions. Contact us today for a free consultation.